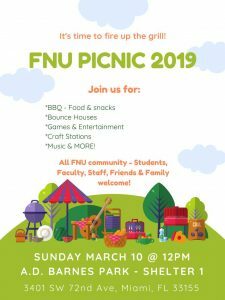 Florida National University will be hosting our first annual Community Picnic on Sunday, March 10th starting at 11 A.M. at A.D. Barnes Park, Shelter 1. It will be an exciting day featuring BBQ foods, concession machines, bounce houses and a Petting Zoo. Come join us for fun entertainment, music and more! 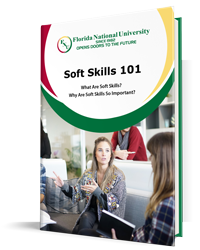 This event will run from 11 A.M. to 5 P.M. Please note that BBQ will be served from 12 P.M. – 2 P.M.